Multon – practical pad under tablecloth. It prevents the tablecloth from shifting on the table; it is waterproof and protects the table against dampness. It contributes to higher comfort for clients of your restaurant; its important feature is also the muting of the sound of laying things onto the table. 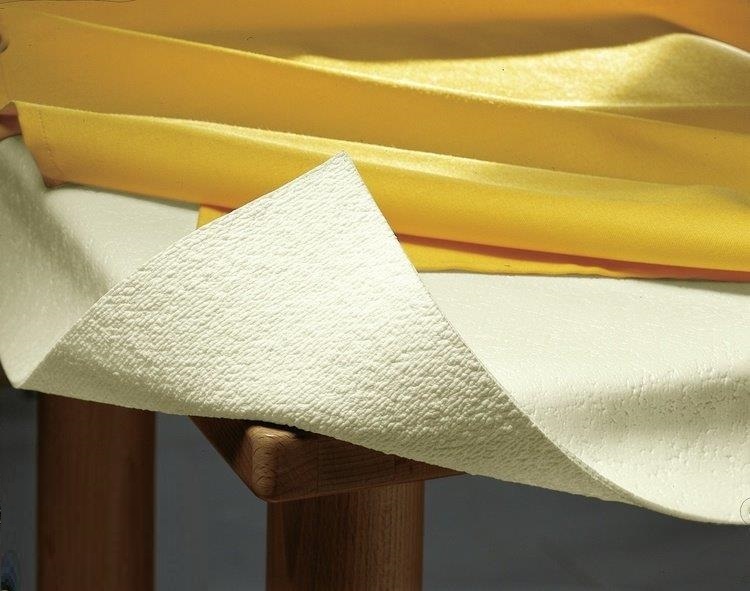 Multon is the best technology connecting the protection of the table, muting hits, and comfort of clients. Polyurethane layer with pattern sticks easily to the table’s surface. Multon can be cut only to exact dimensions of the table – no overhanging! 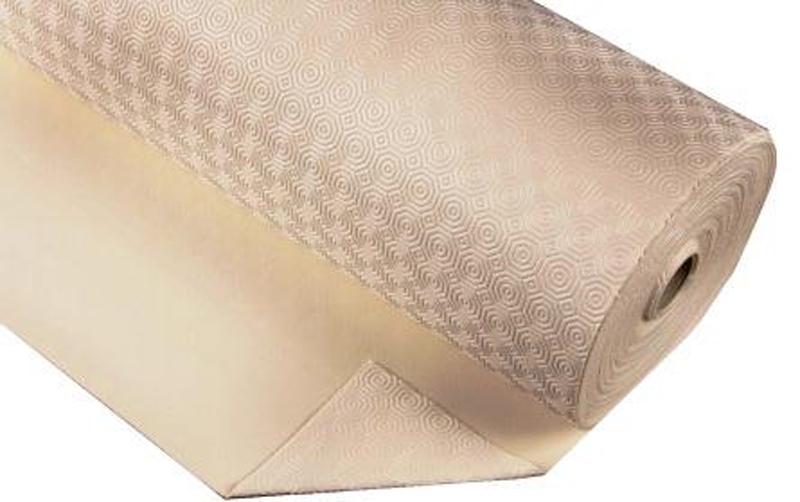 This table pad provides ideal protection of your tables against scratches and spots. Very reliable table protection made of PVC, washable, indestructible and thanks to the sanitary fabrication absolutely without smell and completely hygienic even after frequent use. Antiskid mat that does not release any liquids and is resistant against cuts. Notice: We deliver the product with approximately 10 cm overhang on each side.